The Night Scalper EA Lite is a fully automated Expert Advisor that trades at night and relies on price reversion. The EA trades using market orders and has the option to use time averaging to improve performance. This EA works best on EURUSD using the M5 timeframe, but will also work on AUDUSD, GBPUSD, NZDUSD, USDCAD, USDCHF and likely many more. A VPS is advisable when trading this system and a low spread and commission based broker is best. Check the comments for back test results and optimized settings. PositionComment- Allows you to set the position comment. CloseTimeFrame - Timeframe to use when looking to close positions. RSIClosePeriod - The RSI period used as close signal - Values 1 to 40. RSICloseThreshold - The RSI threshold used as close signal (Setting to 0 disables) - Values 0 to 40. RSICloseThreshold2 - The RSI upper threshold used as close signal (Setting to 0 disables) - Values 0 to 40. 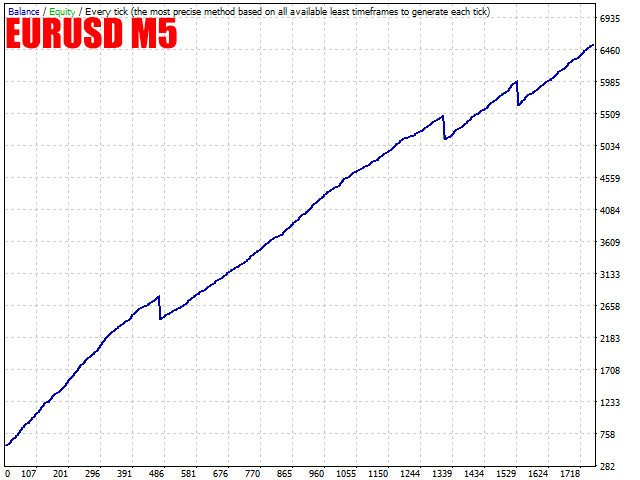 TakeProfitReductionMins - The reduction of TP in minutes - Values 0 to 1000. TakeProfitMin - The minimum TP for reduced TP over time - Values 0 to 10. ClosePositionsFriday - If enabled open positions are closed on Friday at the set time, true/false. ClosePositionsFridayLastHour - The hour to close positions on Friday - Values 0 to 24. ClosePositionsFridayMinutes- The minute to close positions on Friday - Values 0 to 59. 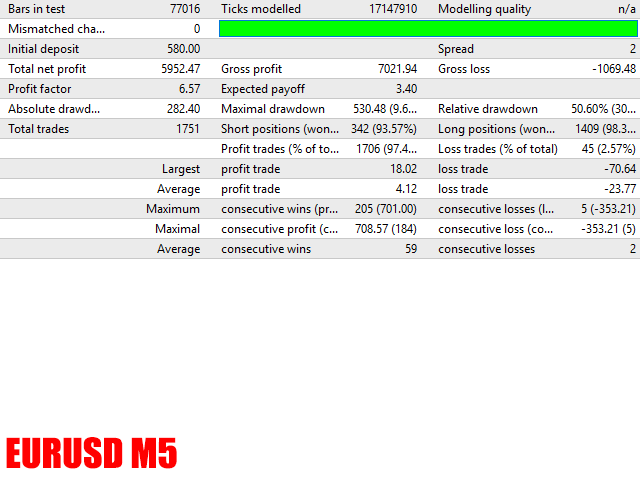 Default input values are for EURUSD M5. If optimizing, optimization of RSIPeriod, RSIThreshold, RSIClosePeriod and StopLoss are needed to find the best results. Received positive results so far with this EA!